THIS is Antifa, who white broadcasters are calling peaceful, well-intentioned activists. No, they aren’t! 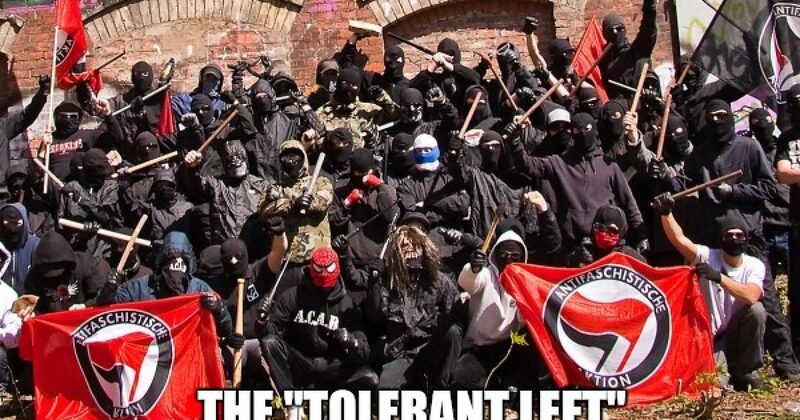 They are lawless genocidal maniacs who have been conditioned by the non-interference of law enforcement to believe they can get away with anything they want and be considered heroes for doing it. THIS is what eight years of Barack Hussein has given us. We live in a time where anti-white racism is being normalized. According to the Left, you cannot be racist to a white guy, claims Angry Patriot.